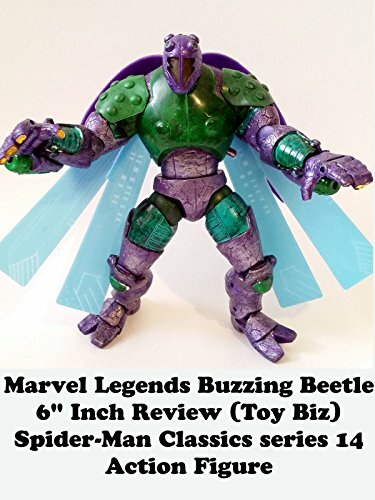 This is a Buzzing BEETLE 6" inch Review. It is part of the Spider-Man Classics solo carded line series 14 made by Toy Biz. It is Marvel Legends compatible in scale. It is an absolutely huge action figure. And to think years ago Toy Biz sold this in the stores for under ten dollars. This is the 1990s Thunderbolts costume the character wore and was a temporary look.